It’s the first Monday of the month, so you know what that means..it’s the Popular Link-Up Series…TBB ASKS. February has lots of LOVE swirling around so this month's theme is of course ALL THINGS LOVE. I’m Andrea from Living on Cloud Nine and I LOVE having you join us and to read all the fun answers. 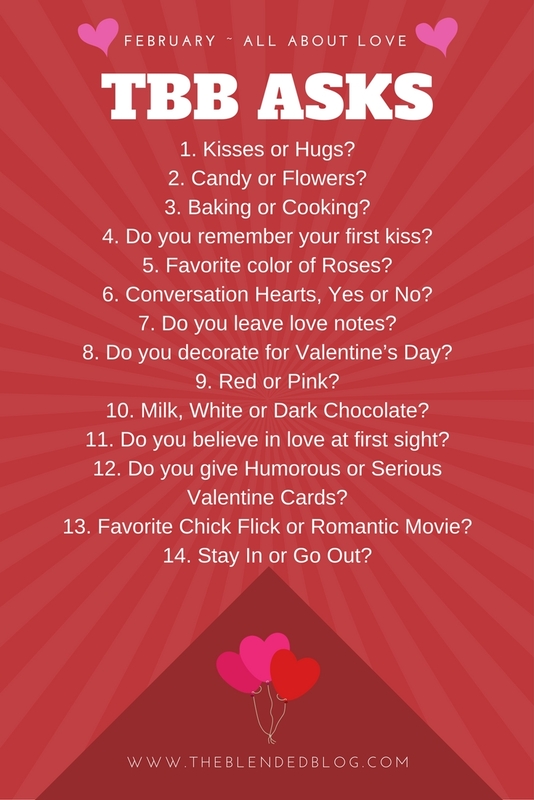 Make sure to show all these linkers some serious love and see how they showed their February Fun. I could quote Mother Teresa all day long! She WAS LOVE! And just so there is not suspense…March will be an “All Things Beauty” edition!